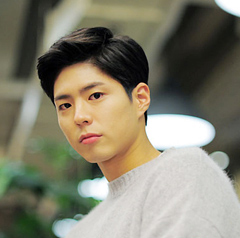 Park Bo-gum, who shot to fame in the hugely popular tvN soap "Reply 1988," was until recently a bankrupt struggling to get out from under his father's debt, it has been revealed. The revelation came as a shock to viewers who have grown used to his pretty-boy image. In 2008, when Park was just a teenager, his father borrowed W300 million from a loan shark to start a business and had the boy co-guarantee the debt (US$1=W1,238). But the business went bankrupt and his father became unable to repay the debt. As interest piled up the debt ballooned to W800 million in 2014. When Park started acting, the loan shark demanded that he pay for the debt. Park refused saying he was not making enough money to repay the debt, and the loan shark sued him in late 2014. In court Park argued that he had no obligation to repay the debt since he was under age at the time it was taken out and completely unaware that his father had made him a guarantor. The court still ordered him to repay a portion of his father's debt, which in turn would be whittled down significantly. But Park refused to accept the ruling and filed for bankruptcy in December 2014. At the time, he was playing supporting roles in various movies and soaps but got no starring parts. In March last year, the court accepted Park's request and declared him bankrupt, with a probe ensuing to determine how much of the debt should be written off. The loan shark claimed Park was fully capable of repaying the debt because he was an entertainer. But after reviewing Park's income, the court recommended writing off all but W30 million of the debt. The loan shark accepted the ruling and Park was officially debt-free as of September of last year. 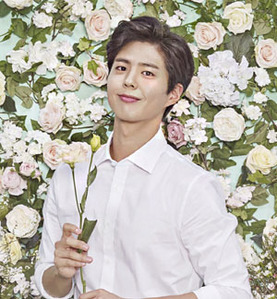 That was just as he was filming "Reply 1988," which made him a star. The government in 2013 banned third-party guarantees of a person's debt, but the law was not retroactive and those who guaranteed other people's debts before the new regulation remained liable. Park debuted in 2011 in the movie "Blind."